We have been getting a lot of request for coloured logos in the Plaques and Signs we produce. 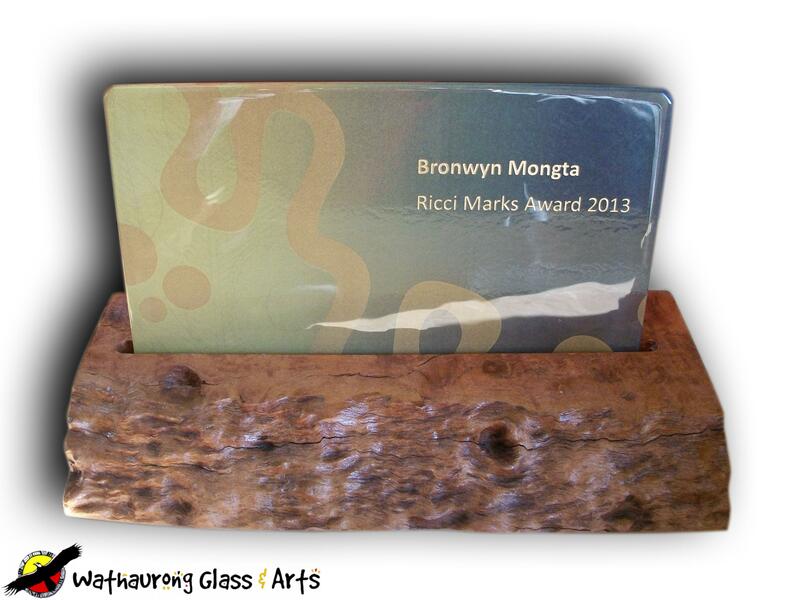 One of the best examples we have of the a decal is the Ricci Mark Awards. Although we can achieve colour using this process the colours will be slightly off or faded. This cannot be helped due to the decal being made of various elements and then fired into the glass at 800c. This is the art work that the Department of Premier and Cabinet supplied us with. And this what the fired glass looks like. As you can see from this example the orange has come out almost brown and the yellow is not as vibrant. But if you click on the image you will see that a lot of the fine background lines are still clearly visible. This is why still believe this can be an excellent method for putting your logo into glass. If you are considering getting a plaque made with this method it highly recommended you get some sample size glass (120mm x 120mm) with your logo before proceeding to order the plaque. We will make 4 samples in the colour (But we prefer clear) of your choosing for a flat rate of $200 including delivery and GST. Please note this is a price for samples only if you request any further pieces with your logo you will be quoted accordingly. We would like to give a big thanks to Department of Premier and Cabinet for allowing us to use this artwork.